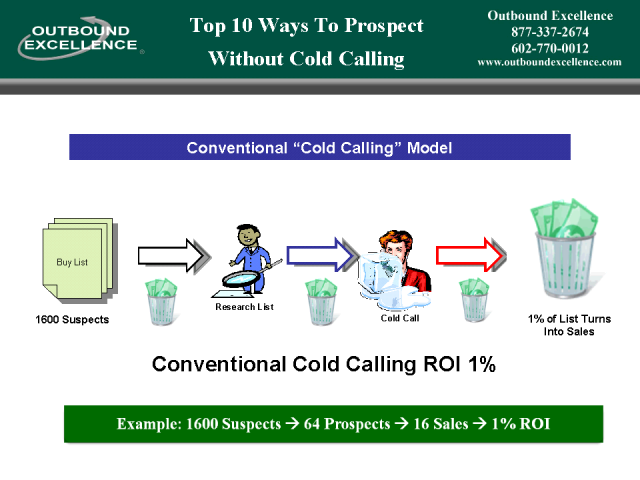 Cold Calling Today Is Harder Than Ever Before. As a result, the market has been flooded with a myriad of Web 2.0 and Social Media tools to help companies prospect for new business. Creating Order Out Of Chaos - We've simplified the complexity of sorting through the myriad of Web 2.0 / Social Media prospecting tools by developing a dashboard panel that provides us with direct access to over 100 of the top rated Web 2.0 / Social Media prospecting tools at the click of a mouse. This allows us the ability not only to analyze and test each component; it also allows us to quickly and effectively integrate them together into various combinations to benchmark their effectiveness. Join us as we review the best of these tools and show you how they can be integrated into a very powerful system that allows you to "Prospect Without Cold Calling."